THE GRISWOLD GANG article by William Edgar is in Vintage Motorsport magazine’s current July/August 2018 issue profiling the life of Stephen Griswold throughout his career of sportscar restoration and race preparation that brought worldwide fame to him and his staff of expert mechanics and restorers. 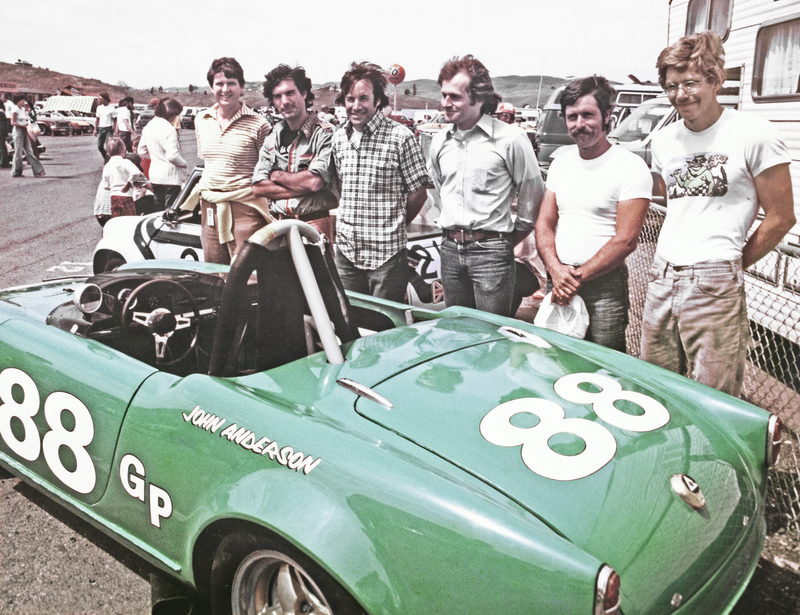 Pictured with the #88 Alfa Romeo Veloce are, left to right, in chronological order of owning this race car: Stephen Griswold, Jon Woodner, Jon Norman, Dan Marvin, Jere Brown, and then-owner of the Alfa, John Anderson. The 7-page illustrated Griswold story is told through extensive research and eye-witness input drawn from interviewing 14 individuals who worked with Stephen Griswold in period, many of them today carrying on in professions that they learned together and with Stephen during the late-1960s, 1970s and first half of the 1980s at the Griswold Company shops in Berkeley, California. This photograph and others in the article are from the Sandra & Stephen Griswold Collections, and from the Phil Reilly Collection.